Welcome to the twelfth annual Shaw Prize Award Presentation Ceremony. The three scientific fields covered by The Shaw Prizes, namely, Astronomy, Life Science and Medicine, and Mathematical Sciences, have all made spectacular progress in recent years. Tonight we honour five scientists in these three fields for their distinguished contributions. The Shaw Prize was established in 2002 under the auspices of Mr Run Run Shaw to honour individuals, regardless of race, nationality, gender and religious belief, who have achieved significant breakthroughs in academic and scientific research or applications and whose work has resulted in a positive and profound impact on mankind. The first Shaw Prize Award Presentation Ceremony took place in 2004. Since that time, including this year’s awards, there have been altogether thirty-seven Shaw Prizes awarded to sixty-five scientists in these three fields. The Shaw Prize is proud to play a role in recognizing revolutionary advances in these vibrant and productive areas of modern scientific research. Thirty years ago, William Borucki and Audrey Summers published a paper assessing the potential for detecting extrasolar planetary systems by transit photometry. The key concept is to simultaneously monitor the brightness of a large number of stars with a high-precision photometer. Planets are revealed by the dips in brightness they produce when they pass in front of (transit) their host stars. Successive transits by a planet are spaced by its orbit period, which helps to distinguish transits from other sources of stellar variability. Transit depths determine the ratio of the planet’s surface area to that of its host star. Borucki and Summers emphasized that detection of Earth-size planets would require observations from above the atmosphere. Subsequently, Borucki began a long quest to develop a suitable photometer and to convince the astronomical community and the US National Space and Aeronautics Administration (NASA) that a modest space mission could discover planets potentially capable of harbouring life. Four proposals submitted between 1992 and 1998 were rejected before the fifth was selected in December 2001 as Discovery Mission #10. Mission development began in 2002 and launch occurred in March 2009. 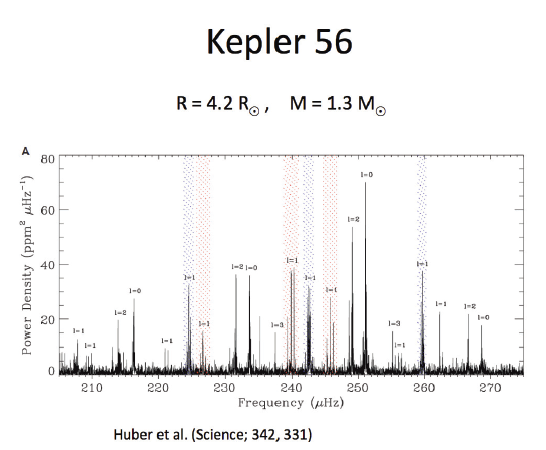 Five years after launch, the Kepler mission has detected over four thousand planet candidates and confirmed more than one thousand. Analysis of these data shows that most stars have planets and that small Earth-size planets are common. 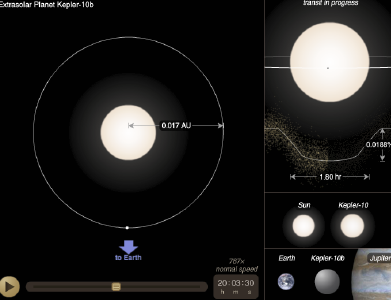 Fig 1: Transit geometry, orbit, and size of Kepler 10b, the first rocky planet it discovered. An important milestone in gaining acceptance for the Kepler mission was the demonstration that photometry from space would be precise enough to detect Earth-size planets transiting Sun-size stars. Since Earth’s radius is about one hundredth of Sun’s radius, this requires measuring brightness variations smaller than one part in ten thousand. Kepler routinely achieves higher precision and as a result has discovered planets even smaller than Earth. 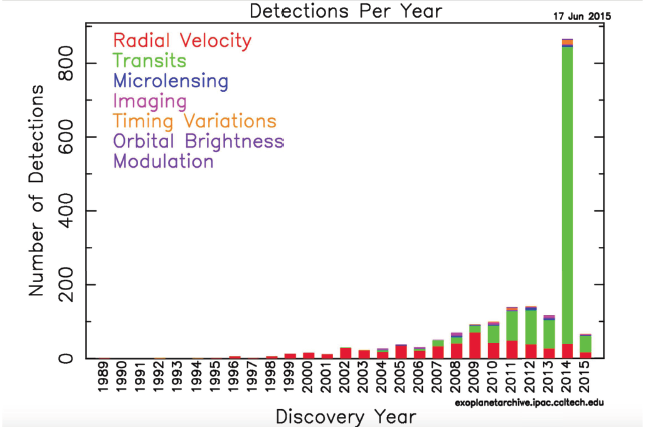 Fig 2: Pace of Exoplanet Discoveries. Early discoveries made by radial velocities measured from the ground mainly found giant planets. Transits detected from space discovered planets with a wide range of sizes, including some even smaller than Earth. To a considerable extent, the peak rate of discovery in 2014 is due to the introduction of a statistical method that validates large groups of candidates identified in previous years. Kepler also accomplished an important secondary goal, the precise measurement of photometric variations due to stellar oscillations. Determination of oscillation frequencies informs us about stellar ages, masses, radii, and internal rotation rates. Fig 3: Asteroseismology Spectrum: The discrete peaks at particular frequencies are akin to the individual notes a piano can play. Knowledge of these frequencies provides information about the interior of the star that otherwise is hidden from our view. Bacteria used to be regarded as individual cells that act independently from their neighbours. Building on the work of Hastings, Nealson, Silverman and others, research beginning in the past four decades has shown that bacteria survive and thrive together in communities and communicate with each other and with other species to coordinate functions that are difficult to achieve by individual cells. The communication strategy is called quorum sensing. Bonnie Bassler of Princeton University and Peter Greenberg of the University of Washington are awarded the Shaw Prize for their major contributions to elucidating the molecular mechanisms of quorum sensing. Each bacterium produces chemical molecules called auto-inducers that are released into the surrounding. One class of auto-inducer the bacteria make is unique to each species of bacteria and recognized by the receptor of the same species. As the bacteria divide and reach enough density, the concentration of autoinducers becomes high enough to stimulate the bacteria to turn on a similar set of up to several hundred genes together in order to perform coordinated functions such as emitting lights, forming biofilms, secreting toxins or causing virulence. Thus, the same species of bacteria communicate and form a community. In addition, bacteria produce another class of chemicals or autoinducers that are common to other species so that different species can communicate with one another. They can collaborate in forming biofilms or they can define their virulence. The elucidation of the mechanism of quorum sensing by Bassler and Greenberg began with bioluminescence in marine bacteria and moved on to human pathogens such as pseudomonas and cholera. Their studies have spawned new concept to the control and treatment of bacterial infections. A new class of antibiotics that acts fundamentally in a different way from the antibiotics we now know is being explored, making use of compounds that affect the function of autoinducers thereby altering the virulence of the bacteria . It is an honor and a great pleasure for me to say a few words about the 2015 Shaw prize winners in Mathematics. Number Theory is one of the oldest branches of mathematics and it remains today as one of the most active and exciting areas. Young mathematicians are attracted to it by the simplicity and the beauty of its challenges. Our two Laureates today, Gerd Faltings and Henryk Iwaniec are responsible for some of the most spectacular advances in number theory in the last 30 years. They have been instrumental in solving problems, providing techniques and theories which have become standard tools for workers in number theory and related areas. Gerd famously burst onto the scene with his proof of the Mordell Conjecture concerning rational points satisfying polynomial equations in two variables. Like many of the most striking achievements in mathematics, this came with a wealth of new ideas and his paper resolved a number of other well known conjectures at the same time. His many works since then contain similar breakthroughs with the development of sophisticated and powerful tools. His higher dimensional diophantine approximation and his foundational development of p-adic Hodge theory are two striking examples. Gerd has played a major role in shaping the modern theories of diophantine and arithmetic geometry. Henryk Iwaniec burst onto the scene early on with his works in sieve theory and its applications to prime numbers. The theory today is an advanced subject with spectacular applications, which to a large extent rest on the many ideas and tools that Henryk has provided. Henryk's works span most aspects of modern analytic number theory and include solutions of long standing problems. The analytic study of modular forms and their L-functions is thanks to his pioneering works, a very powerful and user friendly theory. One need not look far in almost any of the many recent papers in this area, before recognizing Henryk's ideas or insights. Henryk has played a major role in shaping modern analytic number theory. On behalf of the Mathematical Sciences committee I offer my very warm congratulations to Gerd Faltings and Henryk Iwaniec winners of the 2015 Shaw Prize in the Mathematical Sciences.